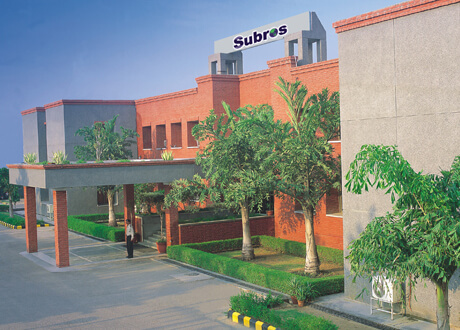 Subros Limited, founded in 1985 as a joint venture public limited company with 40% ownership by Suri family of India and 13% ownership by Denso Corporation & Suzuki Motor Corporation each, is the leading manufacturer of thermal products for automotive applications in India, in technical collaboration with Denso. 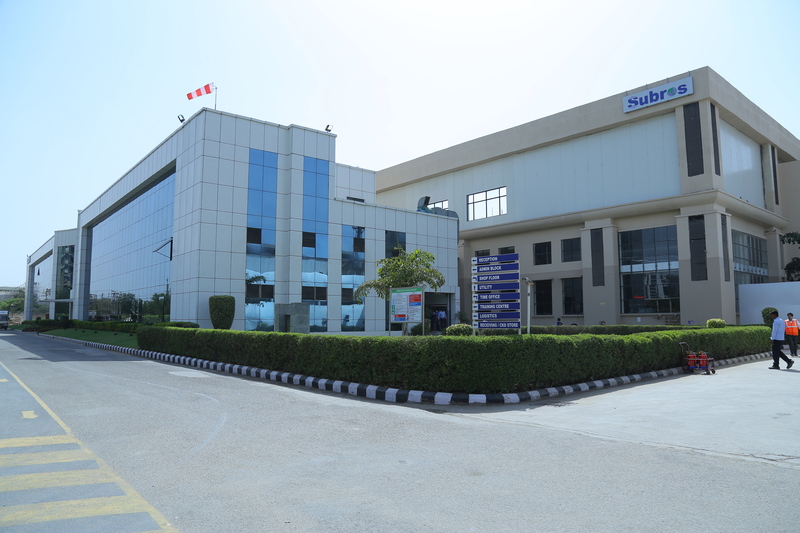 Subros has manufacturing plants at Noida (2 nos. ), Manesar, Pune, Chennai and Sanand with an annual capacity of 1.5 Million AC Kits per annum beside a well equipped R&D Center and Tool Room at Noida. 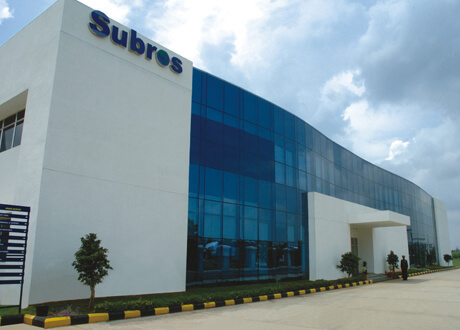 Subros is largest manufacturer of automotive condensers in India. These condensers are manufactured in technical collaboration with Denso Corporation of Japan. Now its new range of Multi-Flow & Multi-Flow with Integrated Receiver Drier condensers are a new revolution in heat exchangers, which are super efficient, small in size and light in weight. It is abbreviation for heating, ventilation, and air conditioning systems —the technology of indoor or automotive environmental comfort. Tubes & Hoses made from special grade aluminium material with wrinkle free bending and special grade rubber material for carrying high pressure environment friendly refrigerant from Compressor to Condenser to Evaporator in order to keep the Vehicle cabin cool during summer. Subros provides complete range of Bus Air conditioners ranging from 7.5 KW to 36 KW capacity suitable for 4 mtr to 12 mtr buses. High cooling performance and air flow volume have been achieved by the introduction of highly efficient evaporator and condenser, and lowering air flow resistance. Subros provides tailored system solutions for driver cabin AC of railway engines featuring compactness, flexibility and easiness to install, irrespective of whether they are diesel or electricity driven engine. Subros provides a complete range of transport refrigeration solutions suitable for storage volume upto 50 cu.m for both chilling & freezing applications. Off- Roader : Subros is into designing, manufacturing and supply of Off-Roader AC systems providing heating, ventilation and cooling solutions in case of construction and agricultural machinery such as Tractors, etc. We are also developing full engine cooling module systems for Off-Highway segment. You can access our extensive network of dealerships & authorized service centres, find your nearest subros dealer and service outlet for all the services you need when purchasing new AC kit or spares or addressing your servicing needs quickly and conveniently. It is our continuous efforts to improve efficiencies and deliver excellence through quality products. Subros has won us numerous awards and accolades from customers and other external agencies. 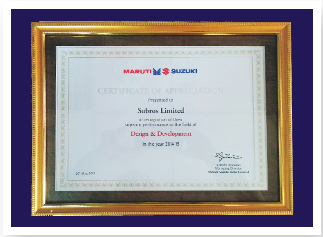 Subros is six time winner of the ACMA- Manufacturing Excellence award. 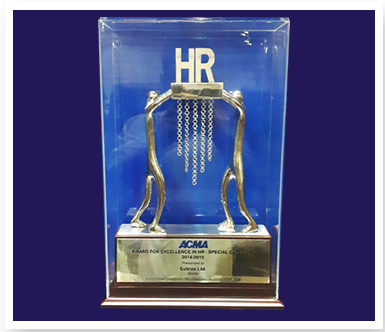 In 2014, we won the ACMA manufacturing Excellence Award(Manesar). 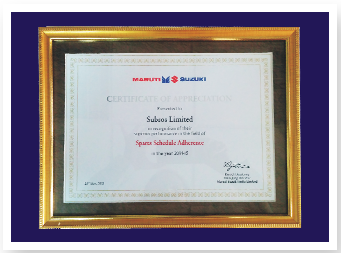 Customer recognition has come from MSIL for overall excellence & certificate for superior performance in the field of design & development, safety, spares schedule adherence. 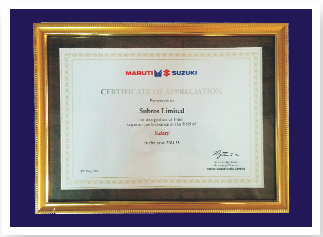 The Subros Pune plant is also the proud recipient of the Mahindra & Mahindra sustainability & green supply chain Award runners Up.